Pull out the fresh bagels and smear on some fresh homemade cream cheese and be prepared for your taste buds to thank you again and again. 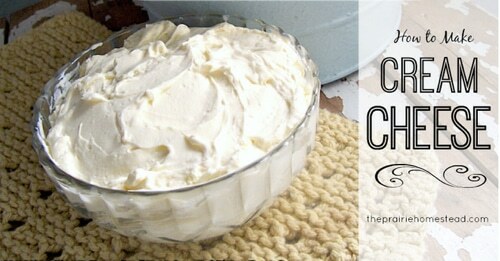 Homemade cream cheese is simply delicious and it’s easy to make. Learn from The Prairie Homestead all the ingredients you need to get started making a batch today.